Sun, sand and a great place to stay! Live the Aussie dream in our unique beach house! 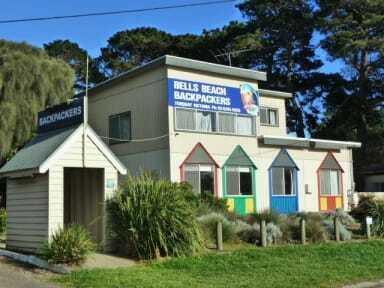 Situated in the town of Torquay, Bells Beach Backpackers is within easy walking distance of all the town's attractions. Our dorm rooms have 4, 6 and there is one double room. Every room has brand new beds, mattresses, linen, lockers and a completely refurbished kitchen and television room. There's a large garden perfect for kicking back or cooking up a feast on the BBQ! Hire a surfboard and walk 10 minutes to Torquay surf beach or if you'd prefer to just look like a pro surfer, walk 2 minutes to the Surf shop Plaza where you'll find all the major surf brands. Everyone knows that backpackers love a bargain, and there's plenty to be found just around the corner at the Ripcurl and Quicksilver factory outlets! Bells Beach is in a national park area about 10 minutes drive from Torquay. There are beautiful walking tracks from Torquay to Bells Beach. Well known for amazing surf and host to the Ripcurl Pro surfing competition. Although you might want to tell your friends you've surfed Bells, this is only advisable if you are an experienced surfer! 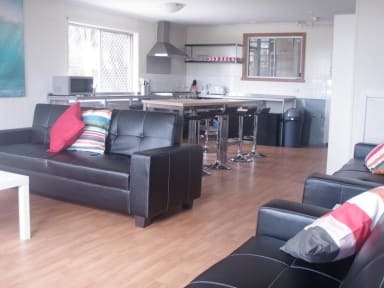 If you're just visiting for a few days or want to get a job to fund your travels, Bells Beach Backpackers will be your home away from home and we'll ensure you have a great time in this wonderful part of Victoria! Amazing Hostel to enjoy the local surf. One the most clean and cosy hostel I've seen so far and I've seen many in ten years traveling. Super friendly staff as well.